Step inside Harkers to discover a traditional British pub of unique character, revered for its eclectic range of real ales and its quality pub food. York's historic Roman Praetorian Gate stood across where Harkers is now. Probably rebuilt around 300AD, the gate was the main entrance to the City of York. Part of this structure is exposed in the basement of our pub. We think our history dates to 1824 (Roman Numerals: MDCCCXXIIII), when we were built to house the Yorkshire Insurance Company. 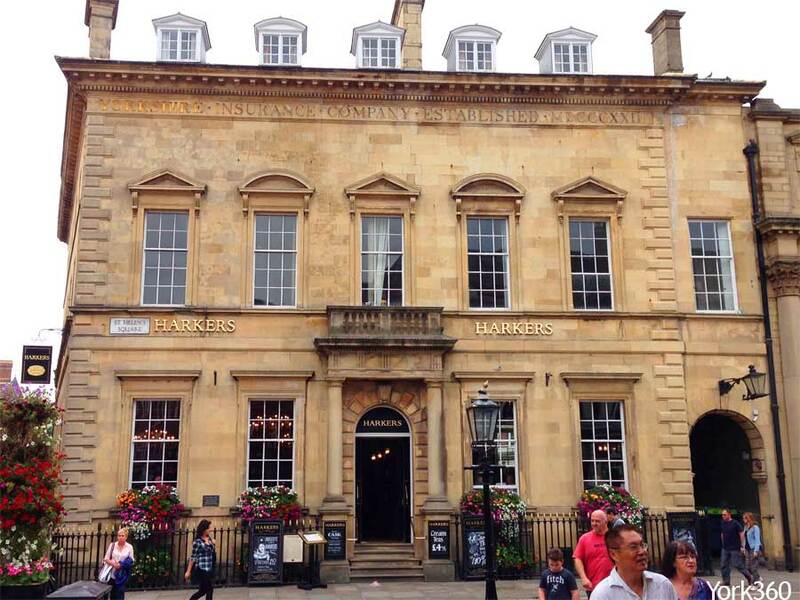 The name Harkers is taken from Harker's Hotel, which stood in nearby St. Helen's Square.